February is so full of celebrations so I'm happy that we celebrate and honor African Americans all month long. Using biographies and poems is a great way to teach students about many wonderful African Americans who have contributed so much to our country. Many of them whose bravery and courage paved the way for others even against great odds. I found some wonderful resources to access free biographies and information that I'd like to share with you. If you are looking for some great websites with biographies you can check out the ones below. The first one is called Bio.Tru Stories. You can search any name and it will not only give you a biography but also a video to go with it. I found this very informative. Just click on the picture of Ruby Bridges below to check it out. Another great website is called Time for Kids. Here you can find not only biographies but lots of other information to help you celebrate the month. Just click on the image below to check it out. At Fact Monster you can find 500 biographies of past and present African Americans. Just click on the image below to check out this site. Finally Scholastic has a wealth of resources to access depending on your grade level. You can check it out by clicking on the picture below. How about Bio Poems, Subject Poems, or an interesting poem called the 5W Poem? How much fun for your students to not only read these types of poems but write some too. Here is one I wrote about Ruby Bridges. A 5W poems answers the basic questions who, what, where,when and why. 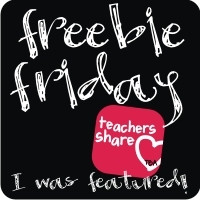 You can download your free poem and form by clicking on the picture above. 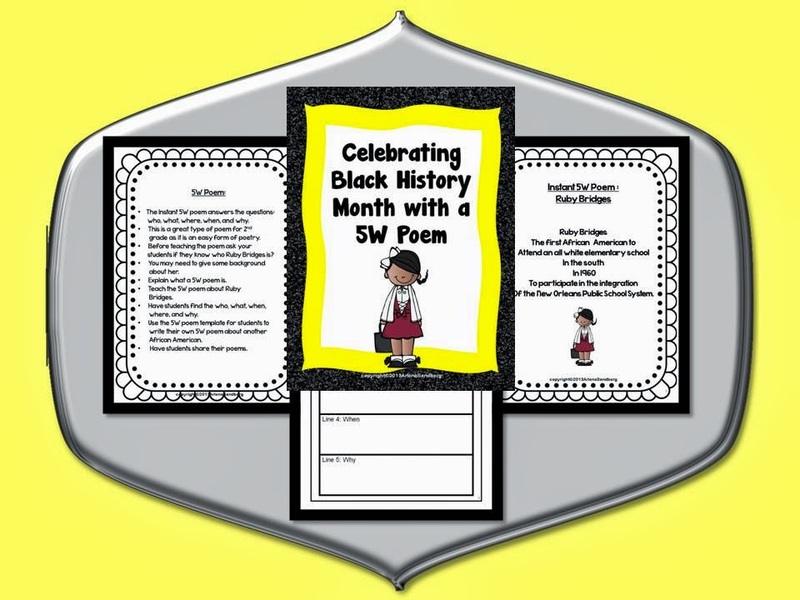 This is just one of the poems and activities included in my Celebrating Black History Month Packet.You can find several more poems such as the Bio Poem, Subject Poem, a 5W Poem, and Biographies by checking out my "Celebrating Black History Month through Biographies, Poems, and Writing"Just click on the picture below and download the preview file to see all the materials in the packet and get another free activity which is included in this packet. This product has been revised and updated. Hope you find some great resources to use with your students this month. Thanks for all you do to make a difference for your students. I just love your poems! !